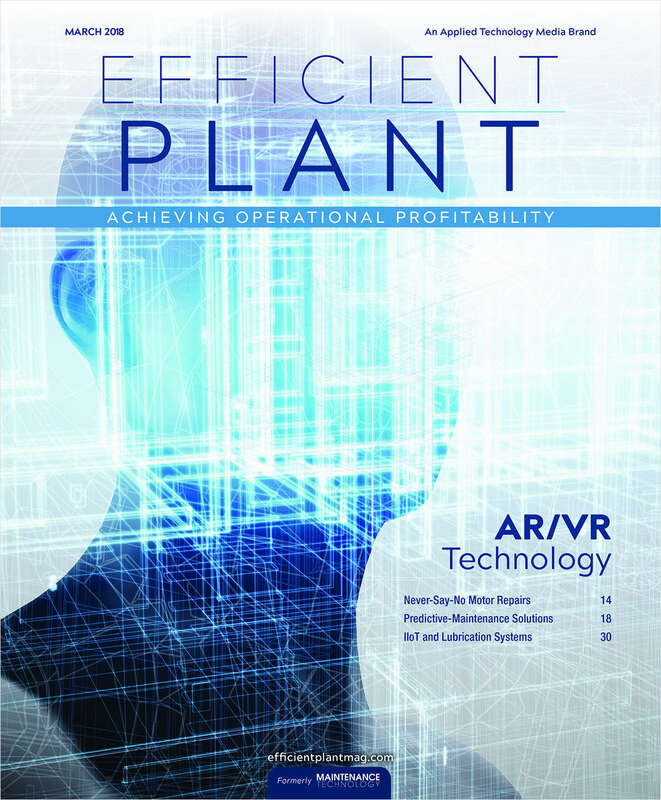 Free Publication: "Efficient Plant Magazine"
Efficient Plant reaches plant and facility management teams, from engineers and managers to plant-floor personnel. By submitting this content request, I have legitimate interest in the content and agree that Applied Technology Publications, Inc., their partners, and the creators of any other content I have selected may contact me regarding news, products, and services that may be of interest to me. Do you wish to receive a FREE subscription to Efficient Plant Magazine? What best describes your Primary Business? What is the total number of employees at this location? Are you involved in or responsible for plant maintenance or equipment reliability? Select the option which best describe your functional area. Select the option which best describes your level of involvement. Do you want to receive informative emails regarding new products or techniques? In order to verify your on-line subscription request, Applied Technology Publications, Inc. is required to ask a personal identifying question. This information is used SOLELY for the purpose of auditing your request. What state were you born in?